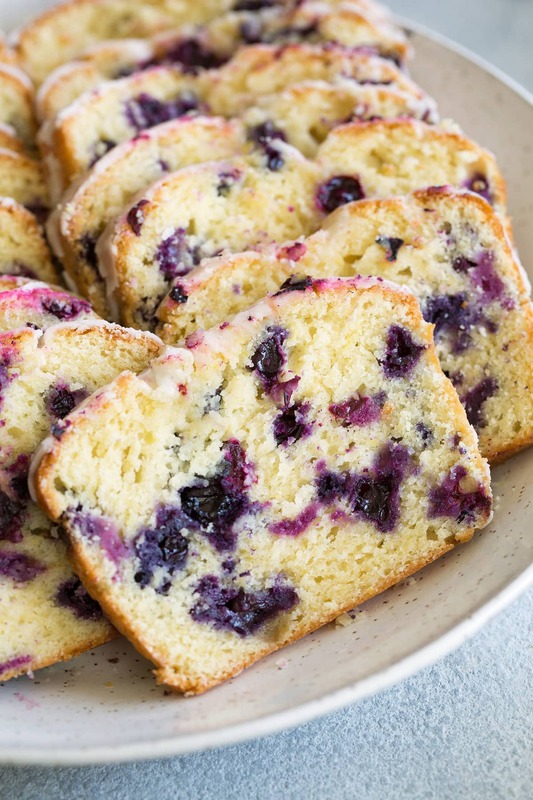 Lemon Blueberry Bread is the perfect summer treat! This recipe is easy to make and the end result is unbelievably satisfying. 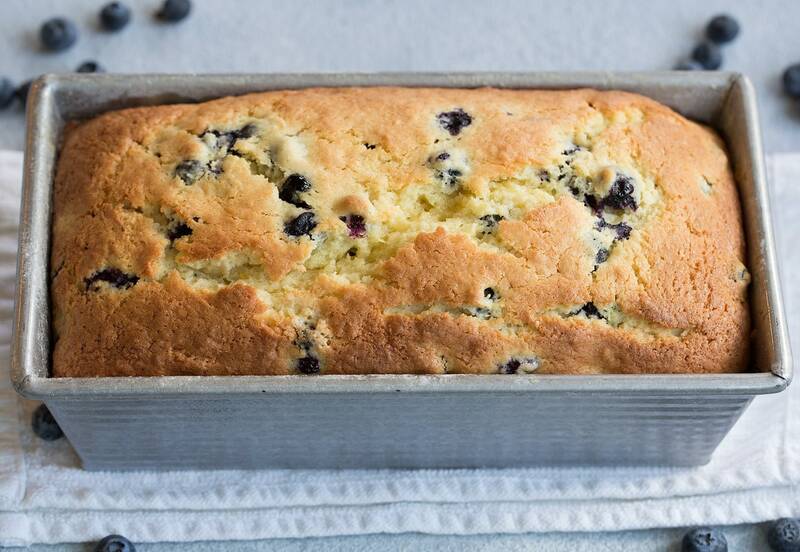 You get an amazingly moist loaf of bread that’s brimming with bright, fresh lemon flavor and studded with sweet blueberries in every bite. Talk about delicious! 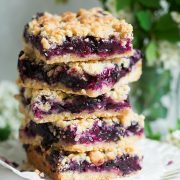 Blueberry Recipes are a Summer Must! As soon as summer rolls around I’m always piling the fresh blueberries (and strawberries and raspberries) into my cart that are in season. I look forward to those fresh berries all year, they are definitely a highlight of summer! 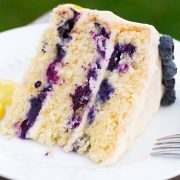 And now we’ve got this melt-in-your-mouth Lemon Blueberry Bread to add to the top of that to do list! First preheat the oven to 350 degrees. Grease a loaf pan and dust with flour. Then whisk together the dry ingredients and toss blueberries with 1 Tbsp of that mixture. 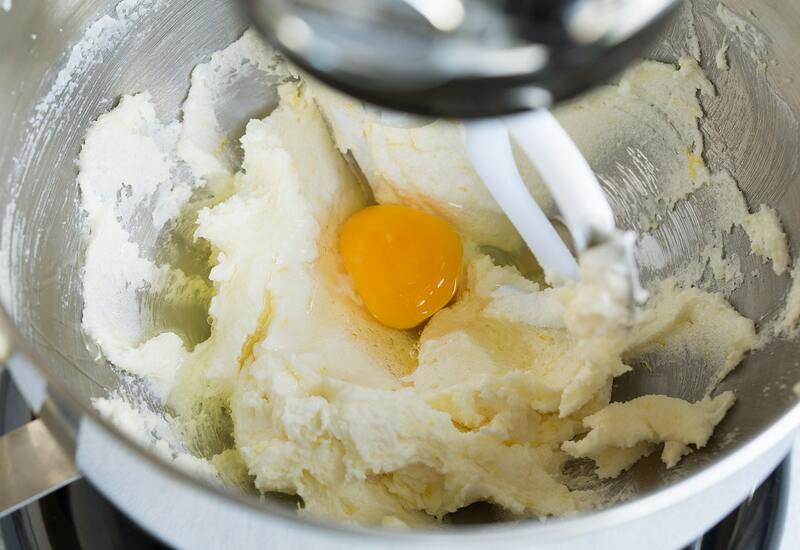 In the bowl of an electric stand mixer whip together butter, sugar and lemon zest on high speed until mixture is pale and fluffy, about 3 – 4 minutes. Mix in eggs one at a time then blend in vanilla extract. Add 1/3 of the flour mixture and mix just until combined, then blend in 1/2 of the sour cream and lemon juice. Repeat mixing in 1/3 of the flour mixture followed by the remaining sour cream. Finish by mixing in last 1/3 of the flour mixture. 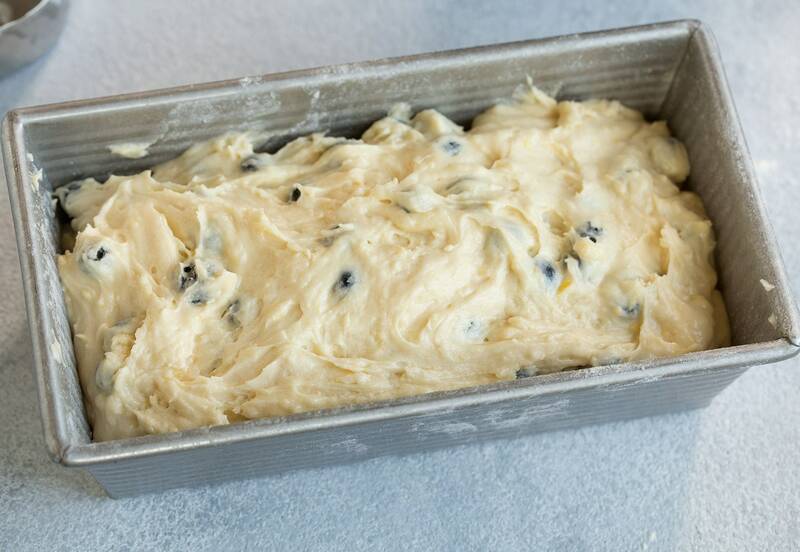 Fold in blueberries then pour mixture into prepared loaf pan and spread even. Bake in preheat oven until cooked through, when poked with a toothpick it should come out with a moist crumb or two but no batter. Cool loaf. Once cool drizzle loaf with glaze. Let set then store in an airtight container at room temperature up to 3 days. Really whip the butter, sugar and zest mixture. You want it to become very pale in appearance, the shade should go from a yellow to a whitish pale yellow. Use fresh blueberries. Frozen won’t give the same flavor and they do tend to swirl in an unwanted color. Stick with sour cream. I did test this same loaf with Greek yogurt and believe it or not the loaf didn’t rise as high. Plus the sour cream adds more richness. 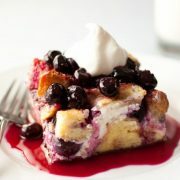 Don’t over-mix when blending in the flour, sour cream, and blueberries. If you do the loaf won’t rise as high. Don’t over-bake the loaf or it will be dry. Also be careful not to under-bake or it will sink and be gooey in the center. The toothpick test will tell all. As mentioned in the recipe I like to let the loaf finish cooling in an airtight container. I do this with a lot of baked goods, maybe it’s my drier climate but I do believe it helps seal in the moisture. Final tip, have lots of people to share with otherwise you can’t stop eating it :). I could just slice of the entire top portion and eat that allll day long. 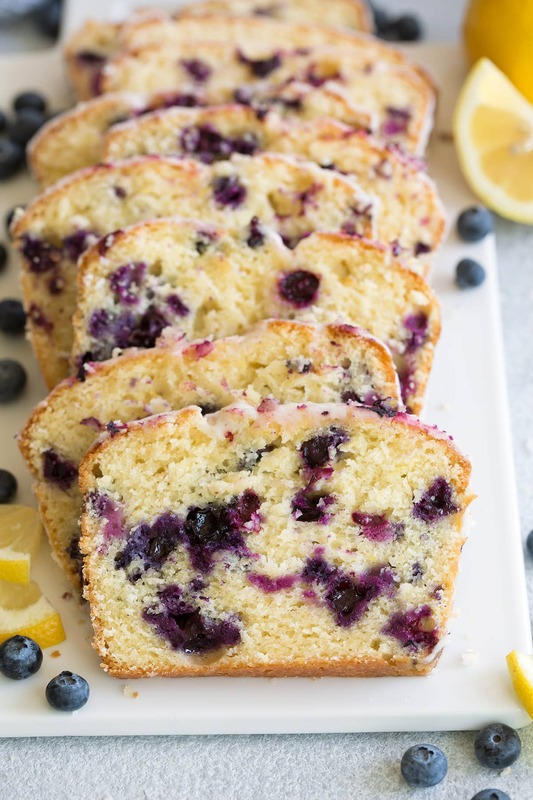 This Lemon Blueberry Bread is the perfect summer treat! This recipe is easy to make and the end result is unbelievably satisfying. 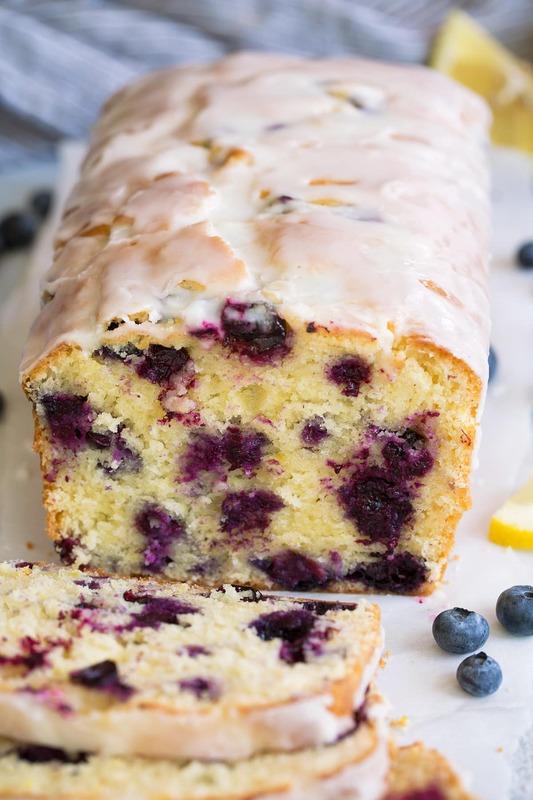 You get an amazingly moist loaf of bread that's brimming with bright, fresh lemon flavor and studded with sweet blueberries in every bite. Talk about delicious! Preheat oven to 350 degrees. Grease an 8 1/2 by 4 1/2-inch or 9 by 5-inch loaf pan then dust with flour, shake out excess and set aside. 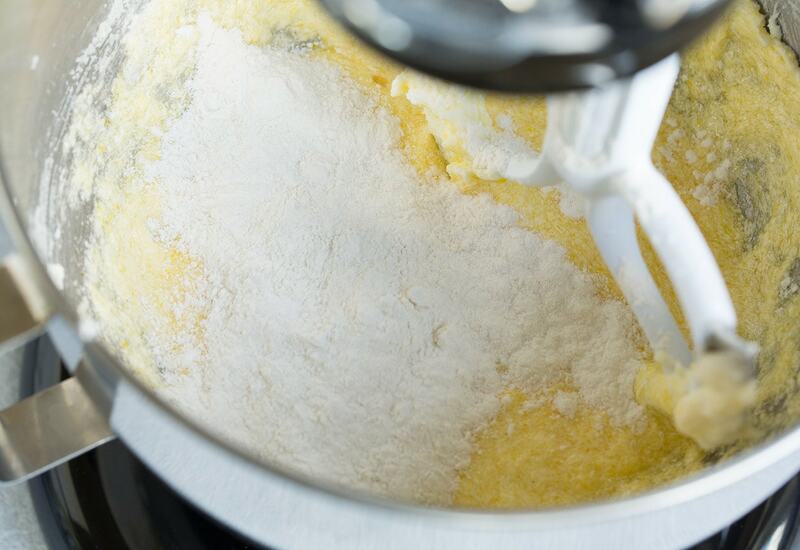 In a medium mixing bowl whisk together flour, baking powder and salt. 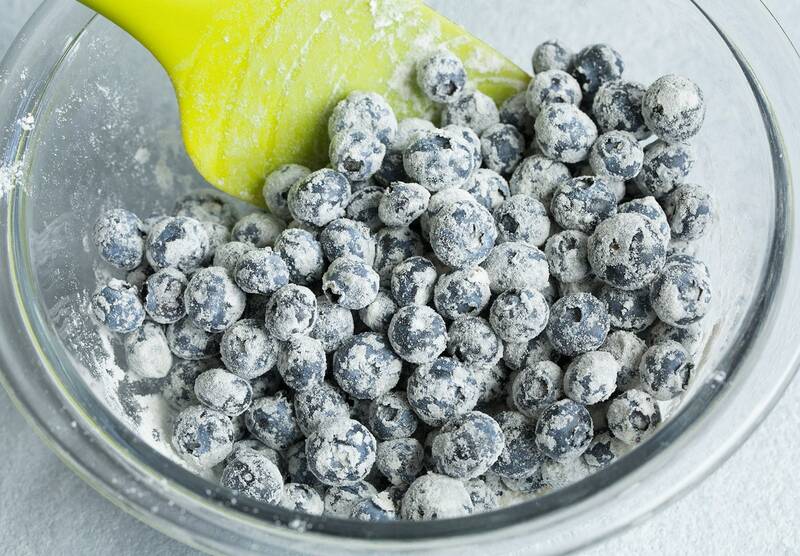 Rinse blueberries and drain very well, transfer to a medium bowl and add 1 Tbsp of the flour mixture and toss to coat, set aside. 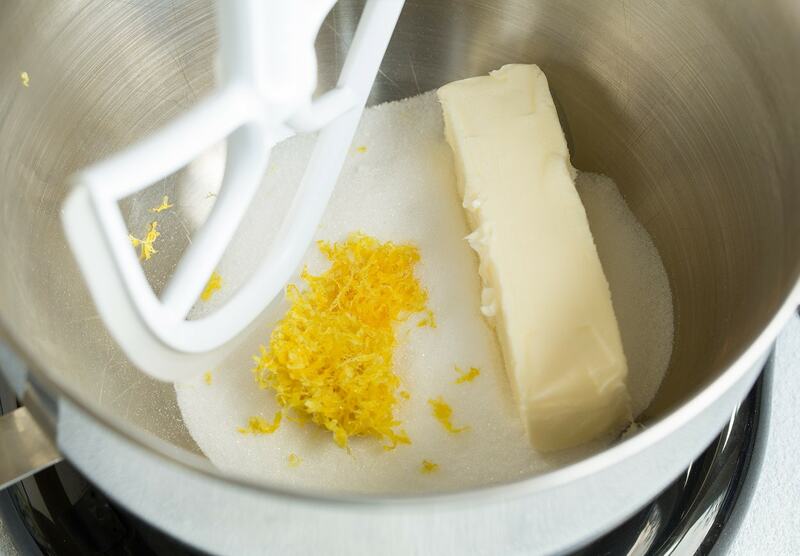 In the bowl of an electric stand mixer fitted with the paddle attachment whip together sugar, lemon zest and butter until mixture is pale and fluffy. Mix in eggs one at a time and blend in vanilla. Add 1/3 of the flour mixture and mix just until combined then mix in 1/2 the sour cream and lemon juice and mix just until combined. Repeat process once more. 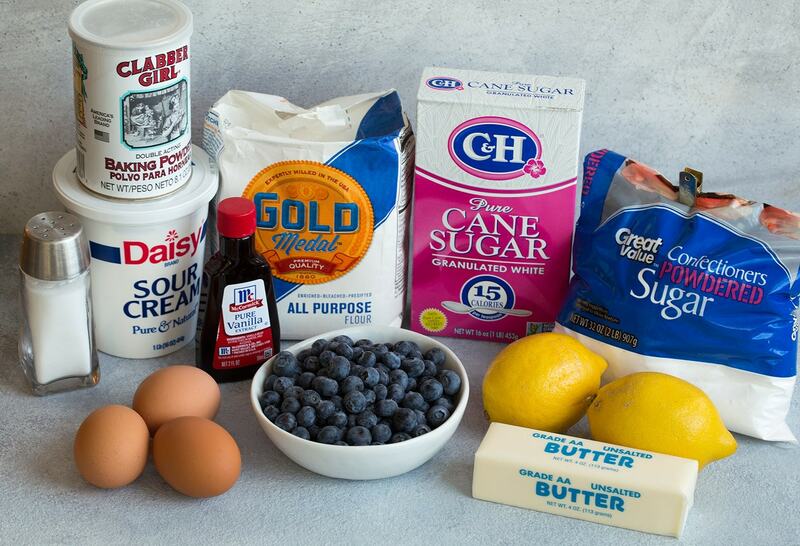 Mix in last 1/3 of the flour mixture then remove bowl from stand mixer and gently fold in blueberries. Pour batter into prepared loaf pan, spread even and bake until toothpick inserted into center comes out with a moist crumb or two, about 50 - 60 minutes. Let cool for about 5 minutes, run knife around edges to ensure loaf has loosened then invert onto a wire rack. Cool on rack about 30 minutes then finish cooling in an airtight container. Once cool, in a small mixing bowl whisk together powdered sugar and lemon juice (if you want it thicker add a little more powdered sugar), spoon over loaf. Let glaze set then cut into slices. Store in an airtight container.